Board Certified Behavior Analysts change lives though an ethical effective, and science-based approach that helps individuals learn the skills they need to achieve their overall life goals and gain independence. Applied Behavior Analysis contributes to a full range of areas, from parenting, to business management, to health & safety, developmental disabilities, community improvement, education and much more. Behavior Analysis measures outcomes directly through data collection and direct observation of behavior, so that Behavior Analysts are able to produce significant results across many different domains. A 3rd grade elementary education teacher met with the parents of a student who was consistently displaying disruptive behavior in the classroom. The teacher reported that he was making loud noises, banging on his desk and crawling under tables whenever he was presented with tasks that involved writing sentences or paragraphs. The teacher had been using a Time Out procedure (putting him in a seat in the corner of the classroom for 5 minutes) to address the student's behavior, but this had only resulted in the behavior happening more frequently. The parents suggested bringing in a Behavior Analyst to consult with the teacher. The teacher began implementing the recommended procedures of breaking down the written tasks into smaller units of work, prompting the student to raise his hand when he needed help, and rewarding him with dinosaur stickers (his favorite) for completing written tasks. After only 2 weeks of implementing these new behavioral procedures, the student was no longer engaging in any disruptive behavior at school and he was proudly showing off his dinosaur sticker books to his family and friends. Many supervisors complain that their employees just aren't motivated. They will do what they are told, but when their tasks are completed, they sit and wait for further instructions. What the supervisors would like to see, of course, is a worker who shows some initiative, who informs the boss when work is complete and who asks, "What else can I do to help out?" The question a Behavior Analyst would ask about this lack of motivation problem is, "What prompts exists for this behavior and what reinforcers are available to someone who does ask for extra work or who just takes on additional tasks without any prompting? In most cases, there are no rewards for showing initiative. The work environment needs to be specially designed so taking on new tasks is heavily rewarded. Joyce's new puppy just wouldn't seem to stay away from her husband's expensive Italian leather shoes. With a tip from a Behavior Analyst, who was helping her change the problem behavior of one of her students, she took the puppy to the pet store. She let the dog pick out his very own chew toy and she purchased several, placing them in various rooms throughout the house. While at home in the evening, when she saw the puppy dragging her husband's shoes around, she immediately took it away and gave him one of his news toys. It worked. The replacement behavior, plus a minor investment in toys, saved the replacement cost on her husband's shoes. 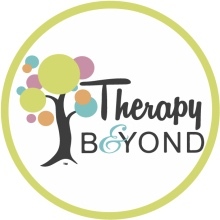 To find a Board Certified Behavior Analyst go to the Behavior Analyst Certification Board at: http://bacb.com/, and choose "Certificant Registry" in the left hand navigation.